You can call them whatever you wish… The amazing herbalist Emily Ruff refers to them as Ninja Balls; Mama herbalist Rosemary Gladstar named them Zoom Balls; you can call them medicine balls, energy balls, dreamy treats, etc… No matter what their name, these delicious little snacks are the perfect way to treat your mind and body with medicinal herbs and superfoods on a daily basis. Here’s the thing about ninja balls… there is no standard recipe. The herbs that you use will dependend on what you are looking for… Want more energy? 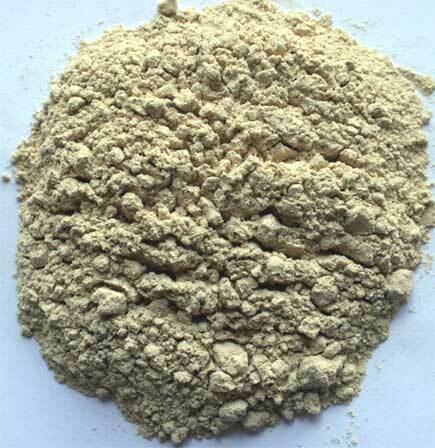 Use powdered ashwagandha. Want to boost your immune system? Include powdered reishi mushroom and powdered astragulus. Interested in getting a daily brain boost? Mix in some powdered gotu kola. You get the idea, right? The base of the mix is made with nut butter and a sweetener. The ratio of nut butter to sweeter is about 2:1, but sometimes I will add a little more sweetener depending on the bitterness of the herbs that I am using and the consistency of the mixture. Don’t be scared to add more sweetener if you think you need it, and don’t forget to taste the mix while you are stirring everything together. Figuring out how much herbal powder to use is the trickiest part for me, mostly because it involves some math. You want to estimate that you will be getting about a teaspoon of herbs per day. This recipe makes about 40 balls, so I used 6 ounces of herbs. (there are 6 teaspoons in 1 ounce). Also, it is a good rule of thumb to use equal amounts of each herb, especially when using adaptogenic ingredients. We will also be using raw cacao powder to create the consistency that we need to form balls. I like to use some maca powder too just to get some of the amazing benefits it has to offer. Once you have all of your measurements figured out, start by mixing the nut butter and the sweetener in a large bowl. When they are evenly mixed, begin adding your powdered herbs. You want to keep stirring as you add the herbs to keep everything evenly mixed. I like to add about 1-2 ounces at a time, stir them in, and then add more. You may want to switch over from a spatula to your hands at some point, because once the mix gets thicker, it is a lot easier to manipulate it with your hands, and obviously way more fun! After your powdered herbs are evenly mixed in, we will add some ingredients for texture and added flavor. This step isn’t necessary, but adds a nice touch. Some options include chopped nuts, hemp seeds, raisins, cranberries, shredded coconut, and carob chips. Next, you can sprinkle in your raw cacao powder (and maybe some maca powder) until the mixture gets to a formable consistency (remember that you want to be able to form balls). Finally, you get to make your balls!! (insert giggle). Use your hands to roll pieces of the mix. 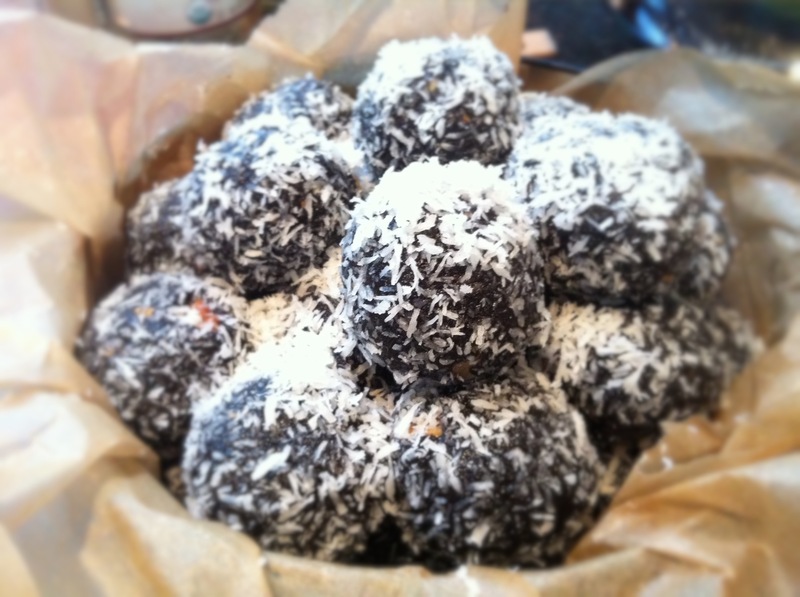 Once the balls are formed, feel free to roll them in some shredded coconut, hemp seeds, or even dip them in some bittersweet dipping chocolate. Yum! Then, place each ball in a container for storage. In the fridge, these treats will last a few months, so if you prefer making a bigger batch, go for it! I started by mixing together the almond butter and maple syrup, and then added in my powdered herbs. After, I mixed in the chopped walnuts, and used the cacao and maca powder to get the consistency that I needed. Then, I used pieces of the mix formed balls, which I rolled it in shredded coconut, and placed in my tin that I lined with parchment paper. Yup, its that easy! The next question… Well, which herbs should I use?? I am going to list some of my favorites, but please, please, please read about them on your own so you can determine which will suit you best. It makes the experience more personalized and reminds you that only you are in charge of your health! These are some great herbs to start with, but there are many more. If you have an interest in medicinal herbs and using them more regularly, I highly recommend Rosemary Gladstar’s book,“Herbal Recipes for Vibrant Health” as a place to start. Tags: chocolate, healing, herbal remedies, herbs, medicine. Bookmark the permalink.